Red Macro ID and opinion | Saltwaterfish.com Forums for Fish Lovers! Can anyone tell me what kind of seaweed this is and if it is okay for the coral tank? I have had this tank for about 10 years and recently moved it. It had also been a little too long on changing the CF lighting and this is what sprung up. Amazing how things can lie dormant for so long! PS. The research I have done shows that it is close to the bleachweed, but no odors of bleach, so it's not that. It is kind of slimy though. It looks like red Gracilaria algae! 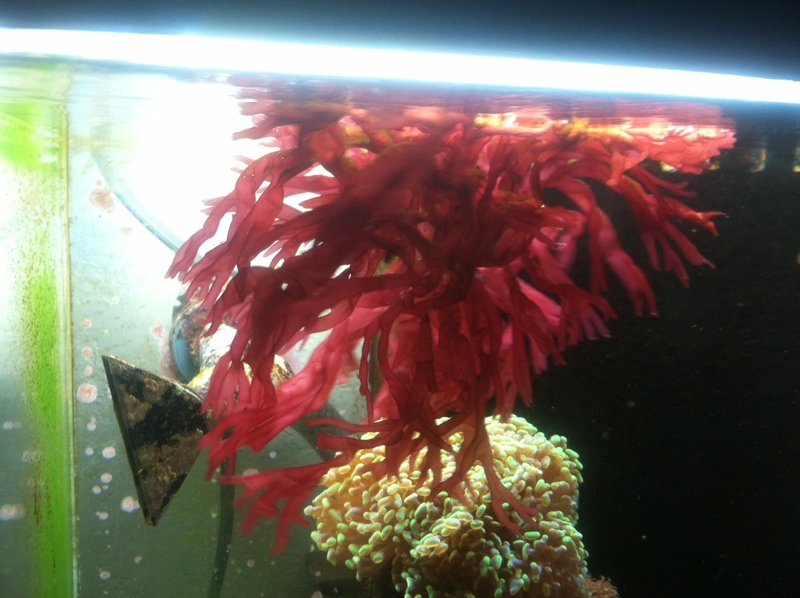 Its a favorite food of tangs and overall a beautiful algae. It's perfectly safe in reefs, it's actually Beneficial Because it absorbs nutrients that pest algae needs, starving it to death. I have it all over...Gracilaria Tikvahiae, in a coral reef you have to keep it trimmed back, or it will cover the coral. I breaks into pieces and grows all over through time. 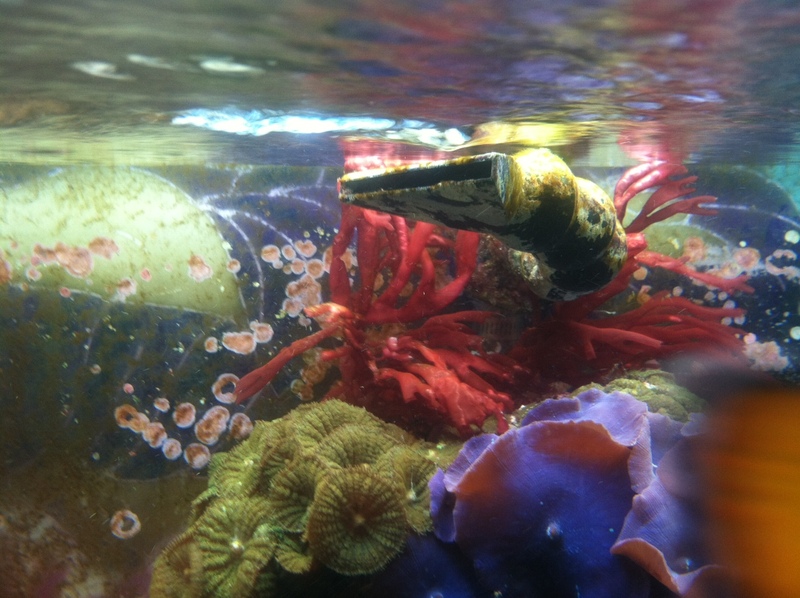 I let mine go because the seahorses like to hitch to it, and the only coral I have now are the green striped mushrooms. it's a pretty red. Yes you can certainly add it to any tank...It could also be Gelidium SP... Both are good for adding color, and they grow slow compared to other macros. I'm thinking it's Gelidium because the fish in the tank with it, haven't eaten it up yet, since that one is not very tasty to fish. As with all macros, you have to trim/prune it back (called harvesting). As you remove the macros that over grow, you are removing the nutrients it absorbed to grow on (Phosphates, nitrites, nitrates and ammonia) keeping your water quality pristine.